From 1977 - 2001, David Copperfield introduced millions to the world of magic through 17 American TV specials. He has been named by Forbes as the most commercially successful magician in history as well as earning 21 total Emmy awards for his specials. As an '80s kid and even during high school in the early '90s, I remember being very intrigued by his specials. Each special seemed to top the previous one by coming up with the most elaborate and/or most dangerous trick you could possibly imagine. And then he even stepped it up further by asking viewers to touch the TV screen and assist in the illusions! Mind blowing! Copperfield has always kept his illusions very secretive and even used litigation to protect them over the years. There is intrigue even to this day with websites like The Secrets of Magic Revealed which discloses Copperfield's "Death Saw" trick from 1988 among others. But even though some of his tricks were variations of popular old tricks, his updated illusions and interactive magic with his TV audience made for some great entertainment over 24 years. Niagara Falls Escape (1990) - Bound, contained, and surrounded by fire, Copperfield decides not to use the provided jet ski, but rather a surprise helicopter ride (apparently piloted by Richard Marx) to escape this raft ride from hell. Vanishing Lady Liberty (1983) - Copperfield makes the Statue of Liberty disappear in front of a live audience and then avoids the wrath of millions of New Yorkers by returning it. 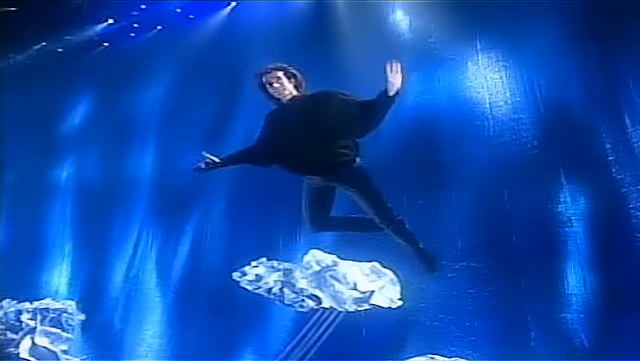 Come Fly With Me (1992) - Copperfield reveals his boyhood dream to impress a supermodel by flying around like Peter Pan for 5 minutes on national television. Disappearance of the Orient Express (1991) - Copperfield shows the easy way to catch a murderer on the Orient Express by just simply making the whole train disappear. Walking Through the Great Wall (1986) - Copperfield finds a wormhole in the Great Wall of China which teleports him to the other side. Secrets of the Bermuda Triangle (1989) - Copperfield makes a long lost ship reappear in the Bermuda Triangle only to watch it disappear again thanks to some pyrotechnics. Floating Ferrari (1980) - Copperfield makes Robin Masters' prized possession float toward the heavens and then disappear faster than an Island Hoppers helicopter.